Social media management tools are a must for your digital marketing strategy. I'll be collecting, testing, reviewing and listing only the most worthwhile ones. I will also be posting videos of what they look like and how I'm using them. Do you have a favorite social media marketing tool that you want me to review? Is there one that you want to try but cannot afford it? Contact me and I'll review it (as soon as I can) and if it's an effective and cost effective tool then I'll add it here and give you a credit to your blog or website. CrowdFireApp is a great FREE tool for growing and managing your social networks like Twitter & Facebook. This one tools allows me to grow a targeted following on Twitter of up to 1k new followers per month with only a few minutes work per day. It features smart filtering of your account to give you the best content to like and share. It also tells you who to follow and makes it an easy task. If your looking for fast effective results than I highly recommend using CrowdFireApp! On A Side Note... This is perhaps my favorite social media marketing and automation tool at the moment! TailWindApp is an excellent tool for scheduling to social media sites like Pinterest and Instagram. It comes packed full of features such as community tribes, a handy scheduling system, editing of links in images, video tutorials and much more! Social Oomph offers a free but limited service, however it's paid service is very cheap and you get a 2 week free trial through my referral link! - Yes it's affiliate link 🙂 Give your social media marketing some social oomph here. SocialOomph.com is probably the best website for automating your social media marketing! Not only will it help you to automate your social media marketing but in doing so it will also dramatically increase your website from social media! By using this tool you will see benefits from day one! Schedule all your posts and so much more! Snip.ly is a fantastic tool for increasing your website visitors from social media networks. It works by using IFrames to add a call to action to almost any website when you share it. 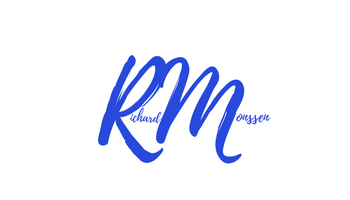 To see an example visit this link to Klout where I’m considered an expert on SEO – https://klout.com/#/RichardPM77. See how I now have a call to action for free website traffic? It boasts a free service up to 1000 clicks per month on the FREE account, which makes it a great tool for newbies too! Build Your Email List Fast!